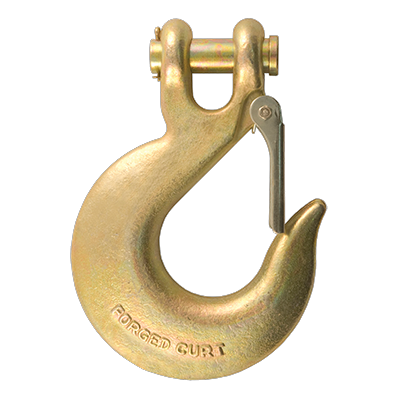 CURT clevis hooks with safety latches are an exclusive design to give you the advantage in your industrial and commercial towing. We make our clevis hooks from heat-treated, forged steel to be strong and meet all the requirements for high-test chain. The safety latch is a unique mechanism that provides added security for your load.